Telehealth refers to the delivery of all health-related services and/or health information via telecommunication. Telehealth encompasses prevention of conditions or infirmaties, promotion of medical ability and breakthroughs, as well as well as curative issues - telemedicine. Telehealth expands to all areas of healthcare that involve health provision when a specialist may not be physically present - including robotic carers, networked client monitoring, or patient information services. Thanks to advances in video conferencing, tele-presence, and haptic feedback, we no-longer have to be at the same physical location as our doctors, for consultation, surgery, even ward rounds. 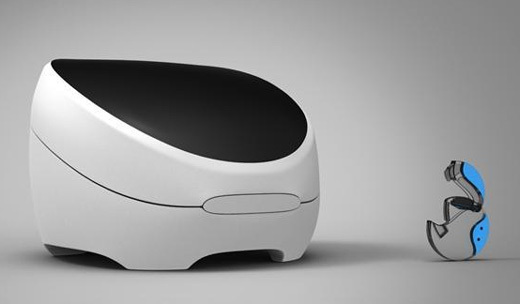 The GeneZ device is an extremely low-cost field diagnosis unit for telehealth in the developing world. Designed to identify cancer and a host of other diseases, and to run indefinately, outside the power grid. Part Three of the series notes how things are not slowing down through April 2009, and a new industry is getting quite established. Part three of a four part series taking a look at the French film Chrysalis and the views expressed within on how a telesurgical operation would work. Part three examines the interface technology the surgeon uses and how nearly all of it is capabilities we already have. Part one of a four part series taking a look at the French film Chrysalis and the views expressed within on how a telesurgical operation would work. Part one deals with the basic concepts. Part four of a four part series taking a look at the French film Chrysalis and the views expressed within on how a telesurgical operation would work. Part four wraps things up, looking at how the film extrapolates the technologies to logically follow. Part two of a four part series taking a look at the French film Chrysalis and the views expressed within on how a telesurgical operation would work. Part two looks at the display technologies used to render the patient on the surgeon's end and compares to technologies we have today. Imagine if you could have the same level of specialist care you get in the hospital, at home. Imagine talking to field leaders from all over the world, about your condition, and having them monitor and scan your body whilst you do it. Picture an array of scanners and sensors constantly monitoring your health, and sending alerts to the hospital if anything changes. Part five of this series looks at phone-based telehealth which reaches into the full records and data storage on each patient, kept within the hospital itself, allowing live editing and updating of those central records, via a medical professional, remotely. Biochip laboratories can perform all the processing a patient might require, speedily, but they cannot extract the blood itself. A Japanese company has developed a self-contained blood sampler and test strip which takes the place of the nurse, and can be performed at home with ease. A PDF thesis describing the ongoing work at Rochester Institute of Technology, to work on integrating RFID technology with cardiac sensor networks used to monitor patients' heartbeats. 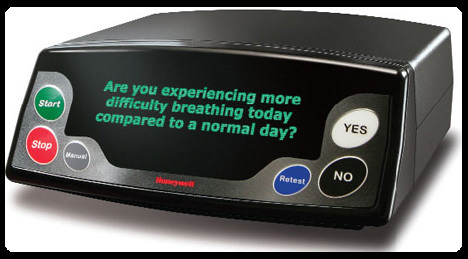 The Genesis DM is a heath monitor computer designed for long-term telehealth. Weighing in at 0.9kg, it is light enough to be carried by even the most frail individual, and plugs into a variety of larger telehealth monitoring systems. By the beginning of 2006, Carlisle Housing Association and the Carlisle and District Primary Care Trust managed to collaborate on a telemedicine system which cut in half the time patients spend in the hospital, and actually increased care. There is a firm, which specialises in phone and telehealth services to help relieve the stress of hospitalisation. They provide a telephone/television unit next to the beds of more than 160 NHS trust hospitals in the United Kingdom. They may well be abusing their priviledged position. Perhaps one of the greatest potentials of telemedicine is the ability for a single medical practicioner to reach and monitor a large number of widely separated individuals or communities, and bring medicare to parts of the world that lack it, or presently have very little, due to location. In August 2005, the Western Australian service launched the first tele-medicine service in the world. A patient does not have to be physically present, in order for the highest levels of care to be administered. In the days of hospital superbugs they may well even receive better care, virtually. The sensor web, that ubiquitous mesh of interconnected sensors, network communications, databases and sensory aids that is beginning to pervade the physical world around us, has many facets. One in particular, of immense importance to telehealth, and healthcare in general, is the interconnected network of sensors and devices for monitoring physical health, and flagging emergencies. Origami Mixed with Printed Circuits: Low Cost, High Versatility Medical Sensors? An intelligent, lateral-minded approach to lab-on-a-chip: If you cannot fit all the circuits you wish to fit onto a chip to detect different protein markers, just have the doctor keep folding it until the circuits line up in the right places for the disease you are looking for. The project, a French initiative, run by the French centre for construction research (CSTB), is designed as telehealth for the elderly. Homes are tripped out with sensors and computer systems that monitor the health and behaviour of the individual, and alert a central depot should anything outside of normal routine occur. 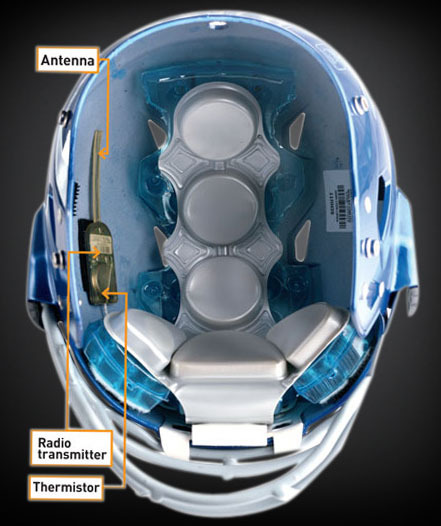 The HOT Helmet, or Heat Observation Technology, is a headpiece developed by Hothead Technologies to monitor the temperature of the head, during use. Bolted directly onto and indeed merging with the medical sensor web, is the need for the human elements to be brought up to par. Neo-luddites removed from consequence, and a general acceptance, understanding, and accessibility to pervasive healthcare methods for all health professionals. A Technology Review interview with two American health experts, on how the iphone may actually be the role-model to follow with the health stimulus bill. Since the beginning of 2009, there has been a swift flurry of uptake of increasingly sophisticated health monitoring, reference and diagnostic tools for health professionals, using the iphone systems as a base platform. One of the problems with telehealth is, whilst the doctor and the patient can be connected practically anywhere, regardless of where the doctor is, orwhere the patient is, that can cause a potential problem, if the doctor is somewhere where they don't actually have access to diagnosis aids at the time. It does not matter the name of the country, or the type of health service run. Wherever there are ambulance services, the ambulance staff are always stretched beyond breaking point. What if you could cut out the annoying trip back to the hospital for many patients? Diagnose the problem there and then, in the back of the vehicle. Many if not most conditions treated successfully, without moving, only the most severe ferried to a larger facility. An ambulance literally becomes a mobile hospital. 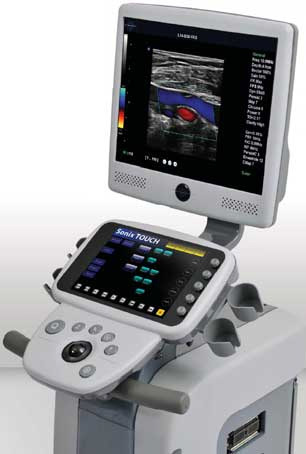 SonixTouch is a portable touch screen system, that can be customised by the clinician, into any display method, and compatible with any general purpose or specific ultrasound medical system. It adapts to process the results from anything. Tying into the one ambulance equals one hospital paradigm, perhaps the one aspecty of patient care most likely to call an ambulance back to the hospital, is surgery. Opening them up, and moving things about inside. The most intricate, and deadly procedures are always going to be carried out in hospital facilities, however what if you could bring the surgeon to the patient, rather than the other way around? Is it possible, to go one step further than a mobile hospital, and include all or the majority of the features a patient would visit the hospital for, in the comfort of their own home? Doctors Kevin Biglan and Ray Dorsey from University of Rochester Medical Center in the US have been conducting tests on whether telemedicine is an appropriate option for getting patients and physicians together, to monitor the development of Parkinson's disease. Telerehabilitation - rehabilitation conducted via remote link, as a variation on telepresence, would seem to be a good answer to patient treatmeent availability issues. It is used extensively for mental disorders. Can it be used for physical too? Tailoring health care specifically to the individual, for best results and lowest cost. A new prototype wireless drug delivery implant, including a new prototype medical implant control protocol, has completed a first round of human trials in Denmark, showing great promise for drug delivery via telehealth. As part of the medical sensor web, sensors to monitor and maintain health could be everywhere: in the clothes we wear, embedded into our skin, even deep inside our bodies. We physically become a part of the medical system, ourselves. Telehealth care and ubiquitous monitoring go hand in hand. Sometimes that leads to the creation of novel technologies. More often, it involves repurposing technologies from several other fields and combining them as one. 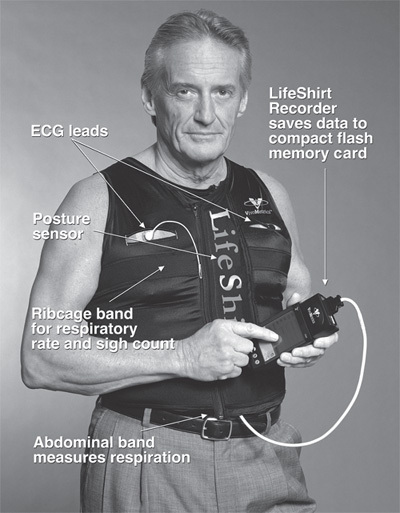 In the case of the wearable electrocardiograph developed by Japan's National Institute of Information and Communications Technology (NICT), it's a little of both.